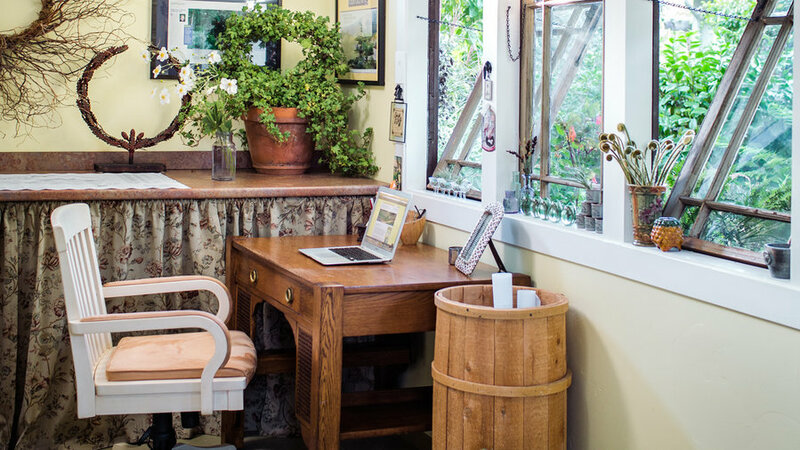 Inside, the sunny, inviting spot bears little resemblance to the run-down toolshed it was when Sweet and her husband, Tom Urban, bought the property from her parents in 2000. “It was nearly a man cave,” Sweet says. 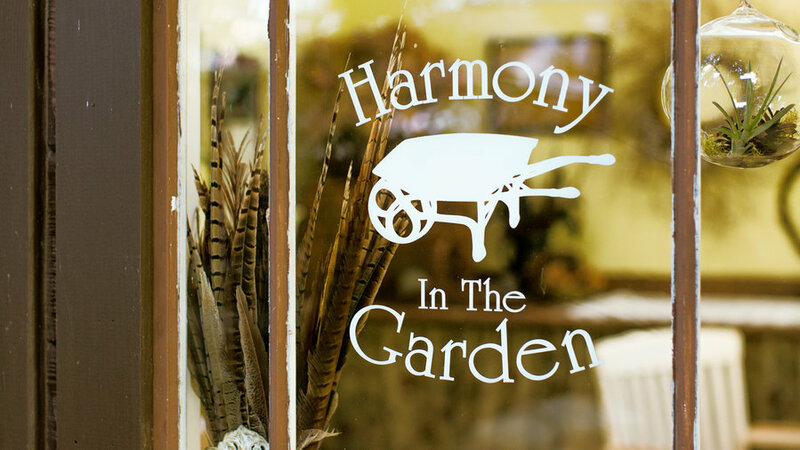 “I decided to take a stand against all that nonsense—ha!” Besides, she adds, she needed an office for her landscape-design business, Harmony in the Garden. Happily, Urban agreed, and together the couple converted the structure into the backyard retreat it is now. 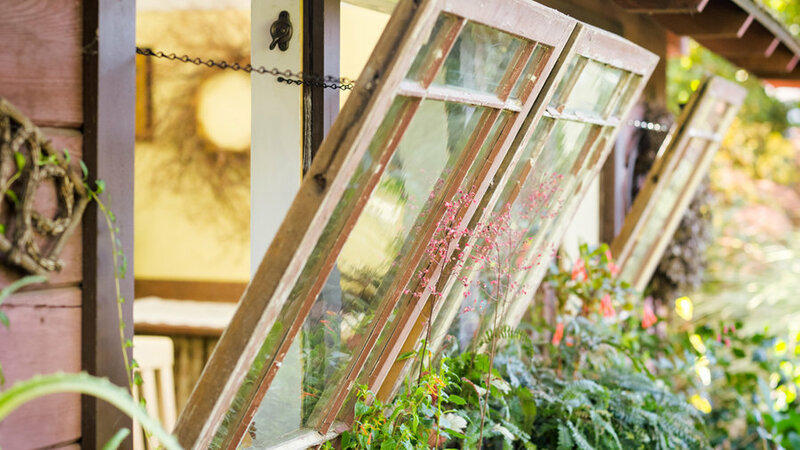 They pushed up the ceiling to create a peaked roof; installed skylights and recycled windows; hung window boxes on outside walls with planting beds beneath; and created an outdoor potting table and tool storage area behind the shed near the back fence. 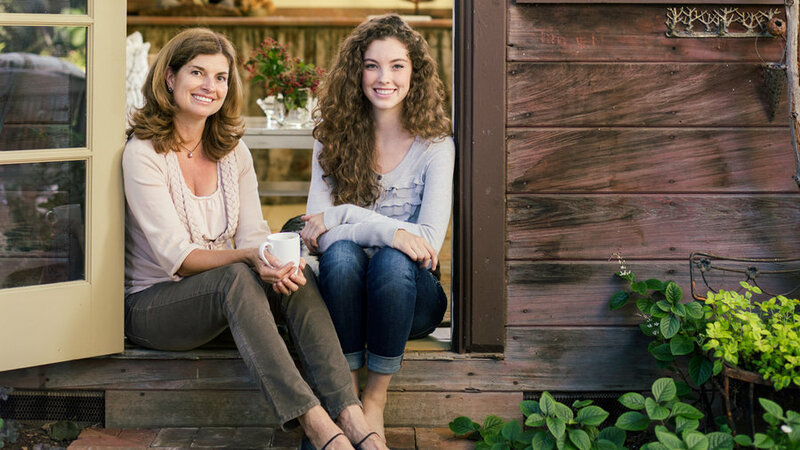 Sweet and her daughter, Emily, 17, frequently hang out in the space together. 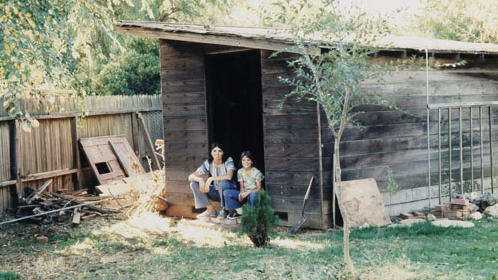 (Emily has hosted sleepovers here for friends.) 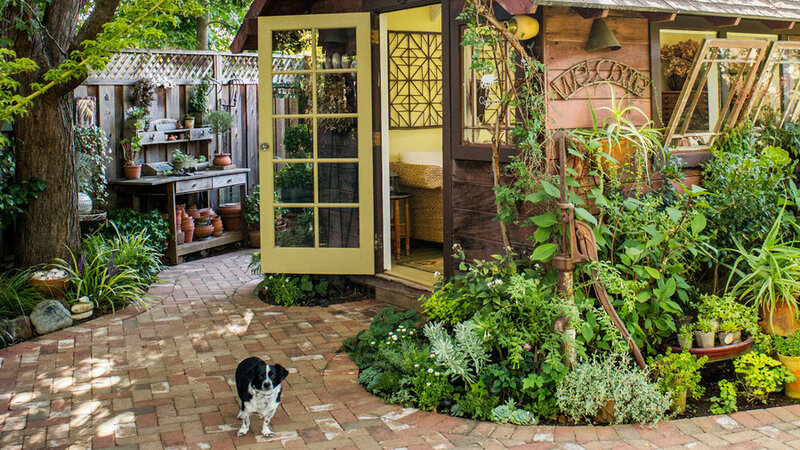 Click ahead to see how Sweet made the space the inviting backyard getaway it is now--both indoors and out. White ceiling and trim, along with floorboards painted pale green, help brighten the interior. Sweet uses a plastic laminate countertop for reviewing plans (). 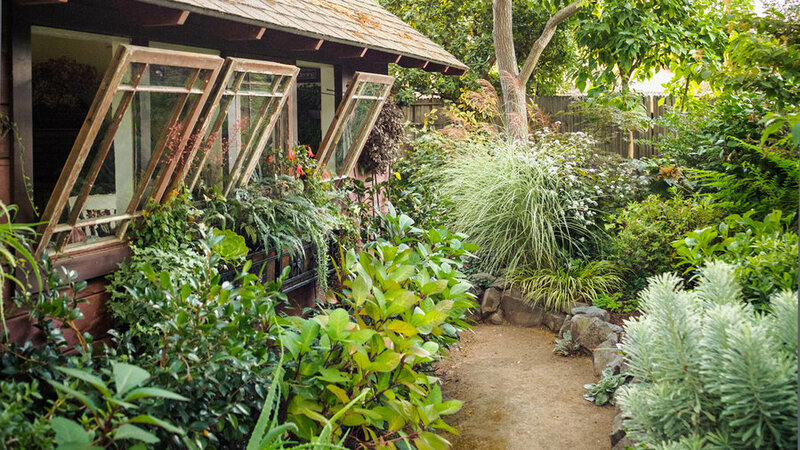 A path winds around the back of the shed to a workspace and potting table. Camellias, hydrangeas, and grasses flank the path. 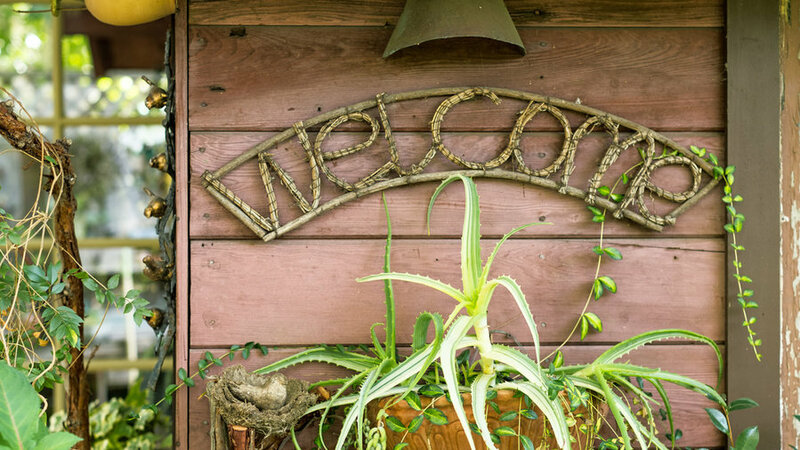 Filled with spidery and trailing succulents, a wall-mounted pot raises the greenery to eye level and helps soften the exterior. 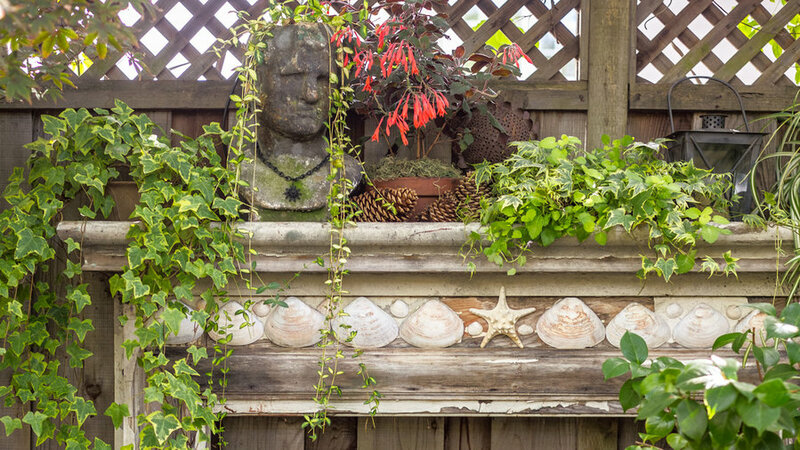 Found in an alley, an old mantel is secured against the back fence, where it displays container plants. Sweet dressed it with shells. Sweet fitted the formerly windowless space with windows from flea markets and salvage stores so she could look out onto her yard. 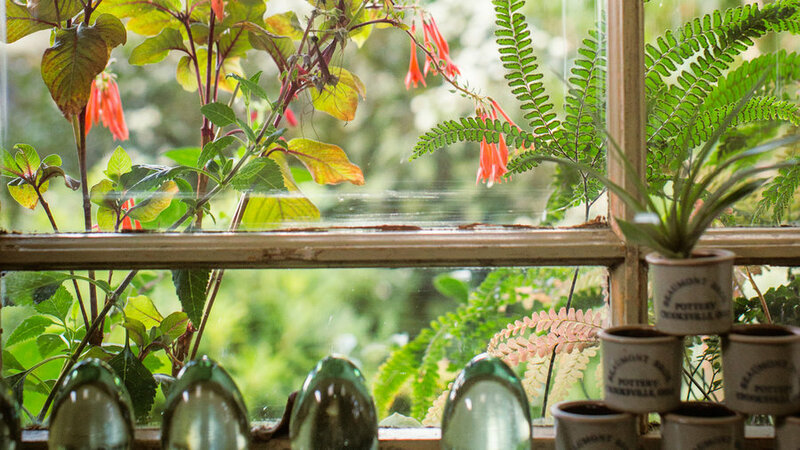 A fuchsia outside the window above the desk attracts hummingbirds. “I love watching them sip nectar a few inches away,” Sweet says. 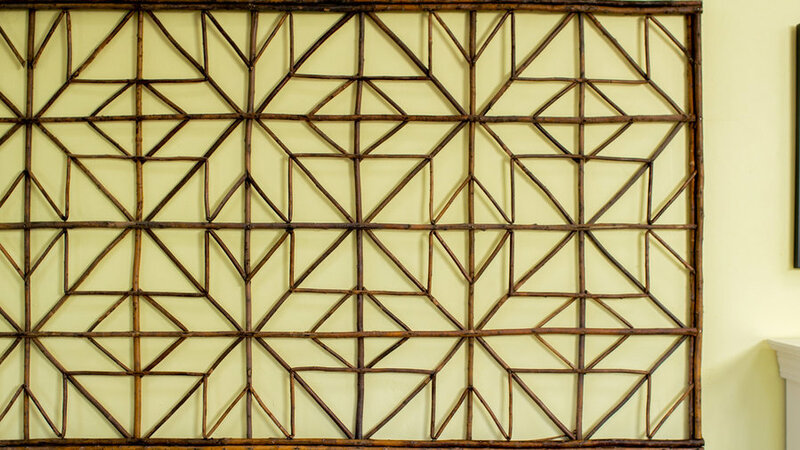 A wooden trellis from an antiques shop creates the quilt-patterned graphic above the sea-grass sofa. 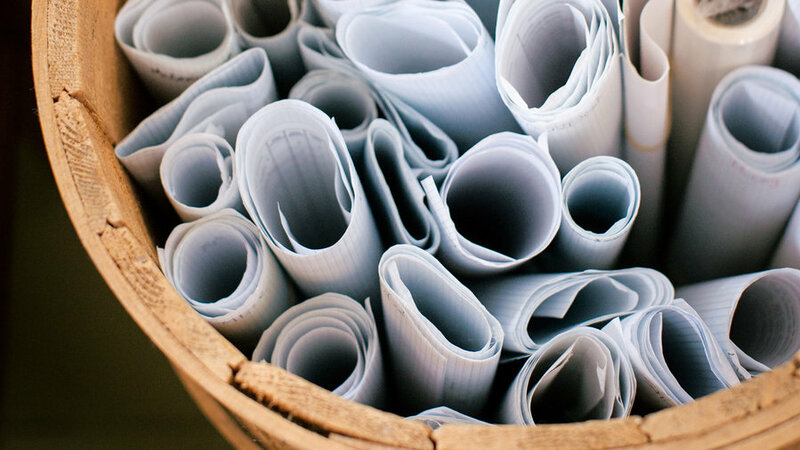 A tall barrel beside the desk is perfect for holding rolled landscape plans and fits with the room’s aesthetic. 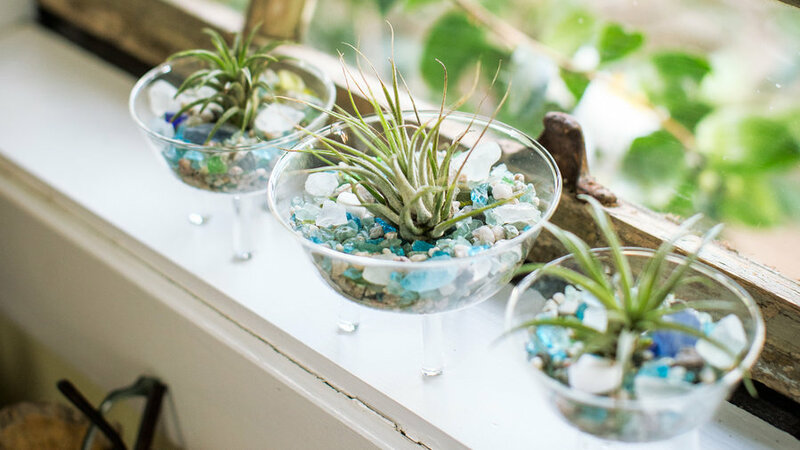 A collection of tiny tillandsias (air plants) nestles in glass bowls filled with multicolor pebbles and sea glass. 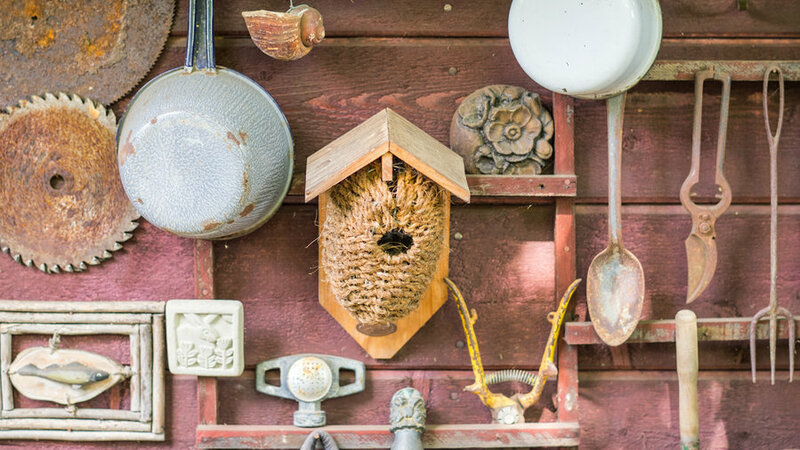 Antique tools, a birdhouse, a hive, and other favorite finds hang on an exterior wall near the work area.